1. Introduction to Pathogenesis. 2. Normal Microbiotas of the Human Body. 3. Biofilms. 4. Adhesion to Host Surfaces. 5. Facilitated Cell Entry. 6. Exotoxins and Endotoxins. 7. Hydrolytic Enzymes. 8. Persistent Infections. 9. Evasion of the Human Innate Immune System. 10. Evasion of the Human Adaptive Immune System. 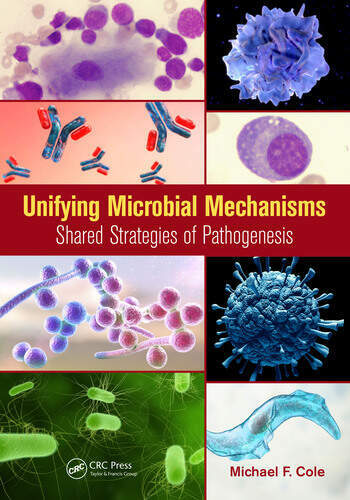 Mike Cole is an experienced instructor at Georgetown University where he is professor of microbiology and immunology and teaches microbial pathogenesis, immunology, and bacteriology. His research interests are into the regulation of commensal and pathogenic bacteria at the mucosal surface by the secretory immune response and the ontogeny of the secretory immune system. He regularly attends the ASM education conference and is the author of half the bacterial cases in Case Studies in Infectious Disease.